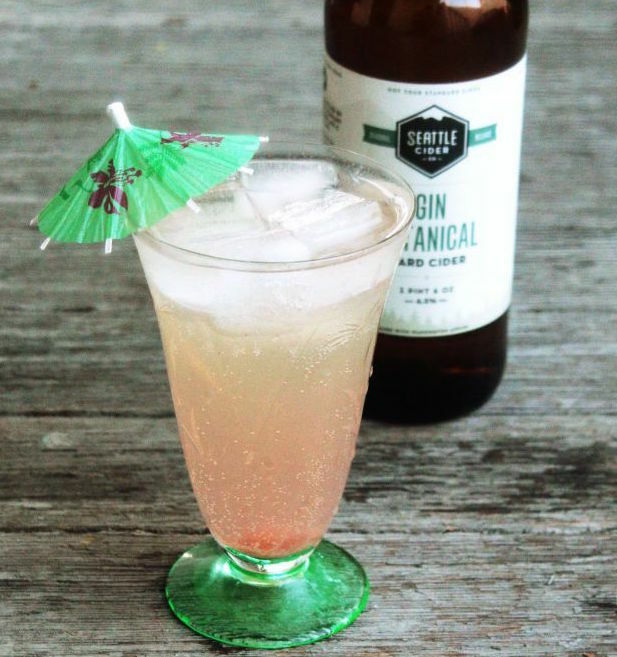 In a large glass combine gin, rhubarb syrup, and lime juice. Stir this mixture until all ingredients are married together. Pour gin mixture into glass. Top off serving glass with tonic and cider.